You can substitute any of these fruits with some of your other favorites including: Raspberries, Bananas, Kiwis, Oranges, Apples, Pears, or Watermelon! Wash, peel, and cut your fruit in keeping with wherever it'll be placed within the rainbow. organize the fruit on a special plate or platter for serving! 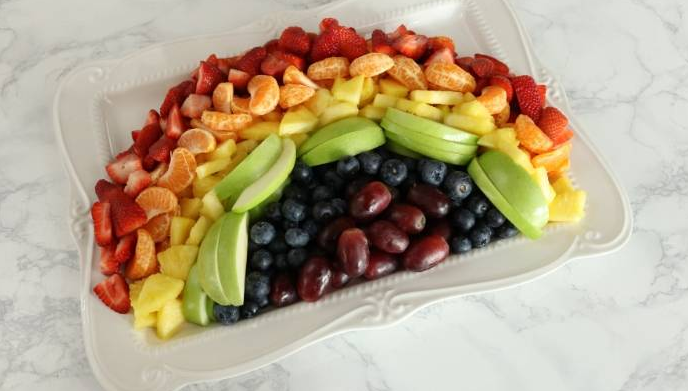 0 Response to "Easy Rainbow Fruit Platter"